Aaron Altherr got subbed in during the seventh inning and made manager Gabe Kapler look like a genius. Altherr continued his recent success by going 2-for-2 with a run scored. Altherr has been showing a lot of potentials and can be worth a look in keeper leagues. 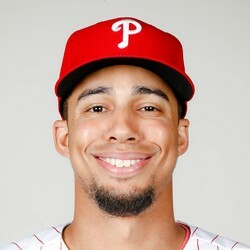 With the unpredictability of the Phillies starting lineup staying the same throughout the game, it is tough to view Altherr as anything more as a guy to hold onto for the future.